From 2006 forward, Daniil Kazantsev, an artist from Novosibirsk, Siberia, began his journey into varied versions of ambient music. His initial project Algol, which is still active today, self-released Searching for Inner and Outer Void. To this day there are now six albums from Algol, making it his main project. There is also the nascent project, Black Wanderer, which should be making more news in the coming year. Stuzha, however, is the focus of this review. The album Siberian Sketches has its roots as far back as 2008 when it was self-released. Since that time, the album has gone through several re-releases. But in 2016, it finally found its proper release on Ksenza Records and distribution through Infinite Fog Productions, both Russian companies. This re-release has brought along with it a bonus track, the addition of bass guitar, and a proper physical release in a brilliant digipak, donning all new album-art. Focusing on the Siberian landscape, during spring and fall, Siberian Sketches looks to take a glimpse into different parts of Daniil Kazantsev’s environment. Throughout the entirety of the album there is the dense presence of field recordings. In fact, much of the album is only field recordings complemented by electric and acoustic guitar as well as the new addition of bass guitar. Siberian Sketches is sort of an ode to the landscape. Tracks like “Печаль [The Sadness]” and “Болотная Топь [Marsh Swamp]” beautifully accomplish this task. Both having sounds of running waters and rain. After the long Siberian winter, it becomes as likely that this is the melting run-off of snow as it could be some gentle brook, babbling and meandering through the chilly landscape. The other major element presented on Siberian Sketches is the use of traditional Russian music samples. The album opens with “Дождливая Ночь [A Rainy Night]”, a track which incorporates choral, operatic singing over great gusts of wind and dripping waters. As if there is some great storm raging outside the cathedral. This theme is revisited on “Родина [The Homeland]”, a magnificent track. Rain, thunder and rushing waters are heard over a contemplative acoustic guitar melody. Birds are chirping, the Siberian landscape truly comes to life. Closing one’s eyes will likely send them soaring into these remote lands, in a part of the world which is rarely witnessed. As the track moves into its second half the field recordings momentarily fade out, leaving us with a lonely yet beautiful piano section. The thunder storm re-emerges, and with it comes some more of these beautiful Russian song samples. A sort of operatic female singer delivers her lines over the backdrop of a male choir, all the while thunder and great torrents of rain can be heard pummeling the Earth. Some points in the album can seem slightly disjointed. For instance, the use of field recordings depicting a person walking through the muddy landscape don’t sit well thematically alongside other sounds of traditional vocals and guitar, which should be presented in a static location. Logistical issues like this happen on several tracks. Yet, this is no reason to disregard the talents and technical prowess of Stuzha. He accomplishes plenty of beautiful work throughout Siberian Sketches. Also, we must remember that this album was originally released almost a decade ago. Stuzha has had much time to hone is talents over the years. One need look no further than his latest album Бутугычаг[Butugichag] to see that he’s learned from his past works and can now deliver an album which stays perfectly on topic and presents no inconsistencies. Siberian Sketches is alive and breathing. The landscape of Siberia comes to life. It can easily leave the listener daydreaming about making a proper visit to these remote lands. With the likelihood of Siberian Sketches II being just around the corner, we have plenty to look forward to in a career which seems to be finally finding its place in the ambient/dark ambient world. 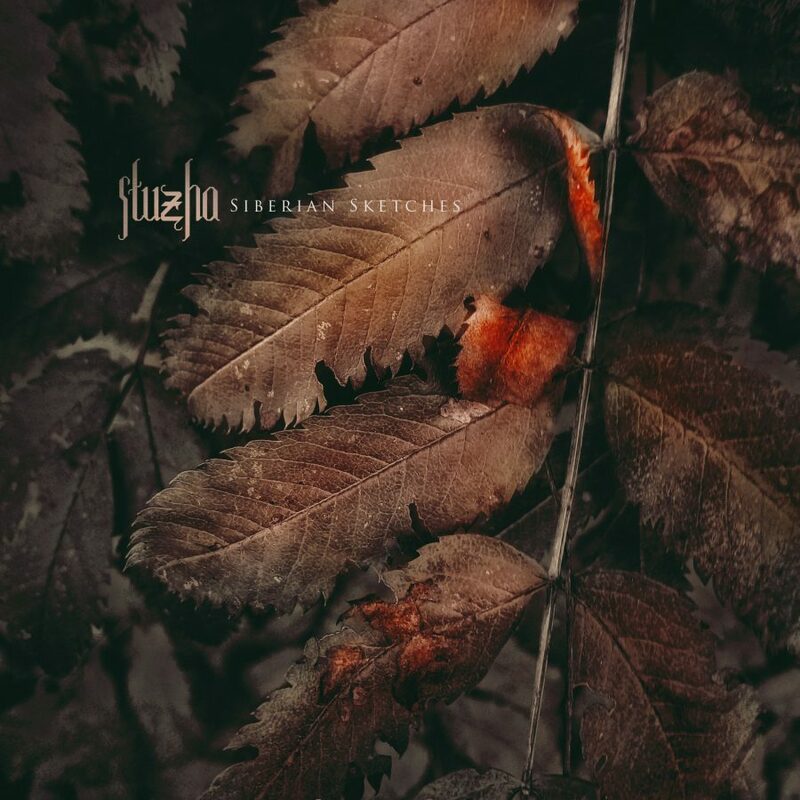 I would highly recommend Siberian Sketches to any dark ambient fans who love variety and constant activity in their music. This easily delivers entertainment and brilliant atmosphere for the entirety of the album. We must now only wait for the next chapter in the life of this promising artist. Note: I’ve recently interviewed Stuzha, it can be found here.